In celebration of the 46th National Day of the United Arab Emirates, Al Falah University commemorated the momentous occasion with a spirit of patriotism, appreciation and camaraderie. 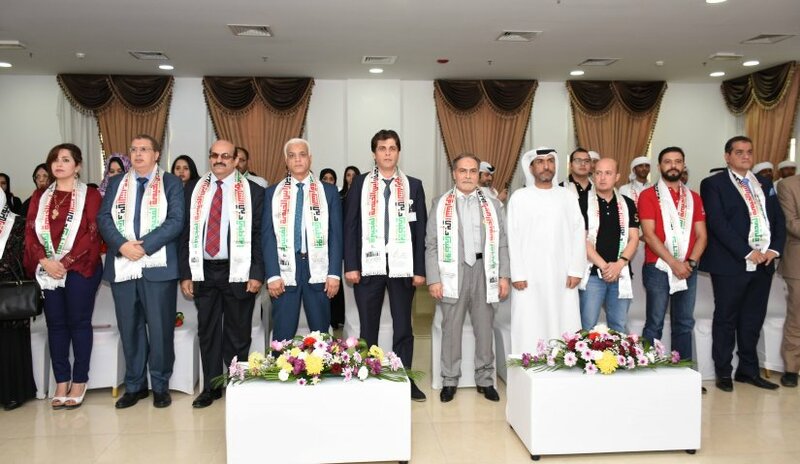 Prof. Abdelhafid Belarbi, President and Dr. Sameer Barghouthi, Vice President for Academic Affairs led the celebration along with all faculty members, administrative staff and students from the different colleges. Prof. Belarbi extended his congratulations to His Highness Sheikh Khalifa Bin Zayed Al Nahyan, President of UAE and Ruler of Abu Dhabi, His Highness Sheikh Mohammed bin Rashid Al Maktoum, Vice-President and Prime Minister of the UAE and Ruler of Dubai, members of the Supreme Council Rulers of the UAE and to the emirates’ citizens and residents. He also wished for God Almighty to continue to uphold and sustain UAE and for it to continuously prosper under its wise leadership. The celebration which started at 4:00 PM and continued until the early evening highlighted the meanings and values of allegiance and belonging to UAE. Several students showcased their talents in poetry, heritage passages, plays and other activities in the performing arts inspired by UAE folklore. The activities included presentations by the Dubai Police Team, book exhibition organized in partnership with the UAE publishing house Medad, art and heritage exhibitions held in cooperation with the National Council of Tourism and Antiquities in Dubai and the Sharjah Institute for Heritage. Royal Jordanian Airlines also took part on the joyous event by contributing airline tickets as prizes. Emirati artist Sultan Al Shehhi concluded the ceremony by singing songs in which the students and the staff received with much enthusiasm.